Since I returned to work full time six weeks ago (not that I’m counting…), we’ve been making an effort to ensure we have some quality family time over the course of each weekend. And in the process, we’re finding all sorts of fun places to visit around Dublin. On Sunday morning just gone, we took a trip over to Skerries for a visit to Skerries Mills. We’d never been before, so we weren’t really sure what to expect, but we’d heard there were ducks to feed – always a hit when there’s a toddler to be entertained. 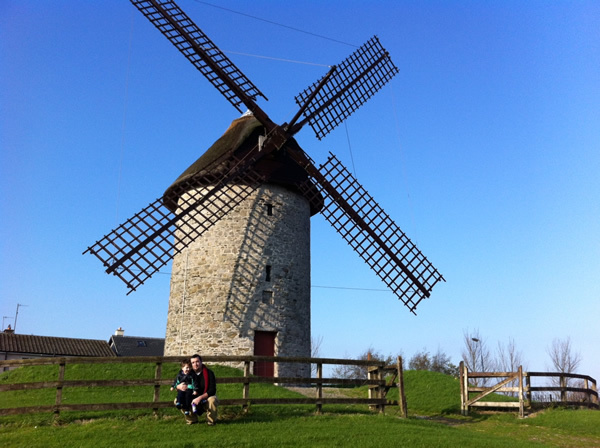 Skerries Mills includes two big windmills and a millhouse complete with waterwheel. 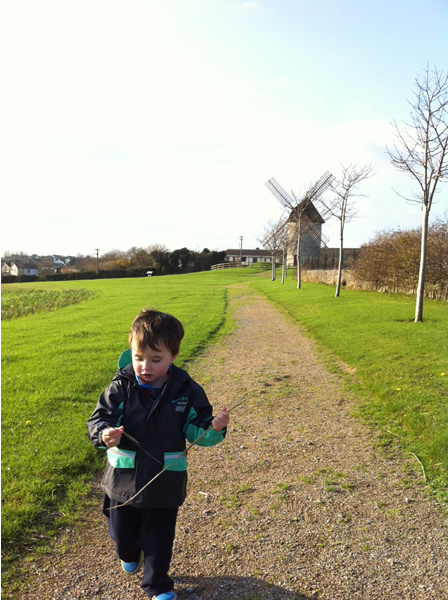 There’s a short path circular path that leads you around from the millhouse to each of the windmills and back to the millhouse again. The best part of this particular outing though was stopping in for coffee and scones in their lovely coffee shop. Such a great setup for families. They had several wooden high chairs, and a section at the back of the coffee shop with low couches and a bookcase full of children’s toys and books. Little Man played with blocks while Charlie went to get the coffees, and then he “helped” me by eating the majority of my scone when Charlie got back. He does love to help Mammy. There’s a great little craft shop attached to the coffee shop as well. We didn’t get a chance to browse it properly, because Little Man wanted a nap after his big walk, but it definitely looked nice enough to warrant another trip very soon! Price-wise, the coffees and scones were reasonably priced. 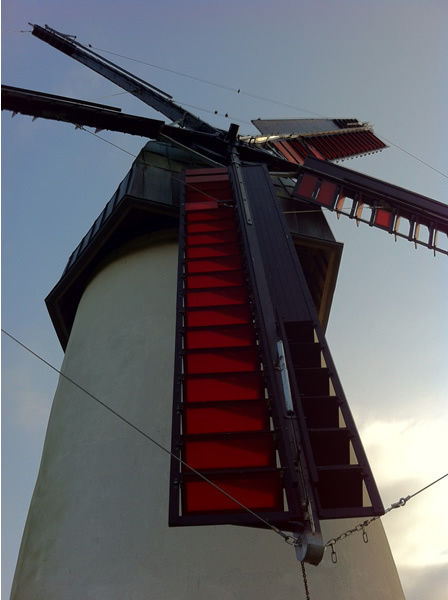 But entry to the mills seemed a bit steep at €12.50 for a family ticket. Apparently the entry price included a guided tour – but we didn’t think Little Man would have the patience for it. Perhaps I’d feel the price was more reasonable if we’d gone on the tour rather than walking around ourselves. It sure does – makes you so much more inclined to return there!